The first Field Firing Exercise that I participated in as a Gun Position Officer (GPO) – Second Lieutenant – was on 28 December 1983. It was a Battery level exercise for 753 Medium Battery. Our Battery Commander was Major Ashok Sikka, with Captain Firoze Allavalli as his Second-in-Command. Captain Avinash Chandra was attached to our battery as the Observation Post officer from the Regimental Headquarters. 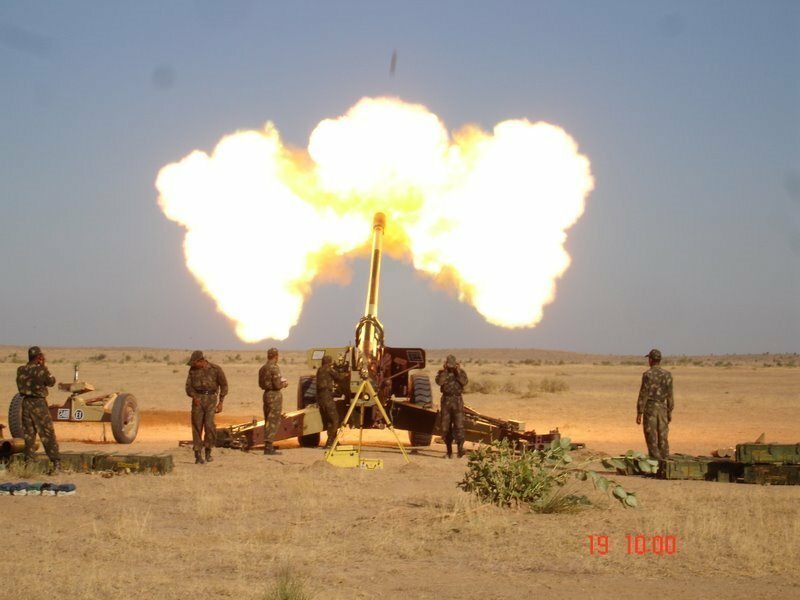 We had four 130mm Russian Medium Guns and the exercise was to practice engagement of targets and fire planning at the Thughlakabad Field Firing Ranges. 75 Medium Regiment then had three batteries with fixed class composition. 751 Medium Battery consisted of Brahmins from North India, 752 Medium Battery had Jats and our 753 Medium Battery had South Indians. The Thughlakabad Ranges was located South-West of Qutab Minar, North-West of Faridabad and South-East of Gurgaon. The range was closed down in 1988 as it posed hazards to the aircrafts landing at the Indira Gandhi International Airport close by and also because the area around it was being developed into residential colonies. On 28 December we carried out tactical manoeuvres of the battery in the area around Gurgaon (then it was hardly developed as one sees it today) and by evening deployed in the Field Firing Ranges. By dusk, we practiced engagement of targets with live firing up to 8PM. At the end of the shooting, I received a message from Major Sikka that a team of about 100 people, mainly press photographers and reporters from various print media houses, and the camera crew from Doordarshan (India’s national TV broadcaster) were scheduled to visit us in the gun area by 10AM on 29 December. They were to witness the firing of medium guns. Major Sikka also instructed me to ensure that they were well cared for as per the norms of our battery. I was surprised with Subedar Chinnappa’s answer as I knew that fermenting the batter for Idli overnight in the cold winter of Delhi was near impossible, but Subedar Chinnappa seemed pretty confident of executing it. I summoned all the soldiers and explained to them about the impending visit by press reporters next day and instructed all of them to be smartly turned out and answer all the queries with confidence. Now I summoned my ‘Commando Team’. This team consisted of the Limber Gunners from the gun detachments – Naik (Corporal) Achuthan (very good at cooking, better than any chef), Naik Sengole, Naik Prasannan and Naik Mathukutty – and the Machine Gun Operator – Naik Gopalakrishna Pillai and driver Naik Venson. The Limber Gunner of a detachment is generally the Deputy to the Detachment Commander, one skilled in the basics of the Gunners’ trade, more especially in the care and maintenance of the gun and its ammunition. They all sported terrorising handlebar moustaches (Major Sikka had a liking for it), including Subedar Chinnappa, which would send tremors up the spine of even Veerappan, the forest brigand. They were ever ready to execute any ‘difficult’ task at any time and used many ingenious methods to achieve excellent results. The task in hand was explained to them and they held a mini-conference among them to decide on the plan of action. Around 8:30 PM they drove to the Regimental location to grind the lentils and rice for the barter. They returned to the gun area by about 2 AM with the batter. I still was trying to work out in my mind the difficult proposition of fermenting the batter in a cold night. It requires around 25 degrees Celsius temperature for fermentation and I had only eight hours in hand. Neither Subedar Chinnappa nor my Commando Team appeared least worried about it. They asked me to sleep for a few hours as I had to conduct the firing in the morning and also brief the visitors. They assured me not to worry about the Idli-Vada problem. The press team consisting of about 100 people arrived at the gun area at stroke of 10 and Subdear Chinnappa with his characteristic smile received them and escorted them to the gun position. He had ensured that the members of the commando team were by then positioned around my command post. I welcomed the visitors and before I could commence the briefing, a senior press reporter remarked that he was impressed with the turnout and smartness of the soldiers, especially their moustaches. Everyone in the crowd nodded and some added a few words of approval. Subedar Chinnappa won the first round and I glanced at him with a smile of appreciation. Firing of guns was demonstrated and everyone took photographs and the camera crew recorded the events. They interacted with the soldiers at the guns and at the command post and were briefed well by everyone. By around 11 o’ clock, Subedar Chinnappa invited everyone for a cup of tea. They were surprised to see Idli-Vada being served in the jungles and were really appreciative of the snacks. They wanted to know as to how we made it. 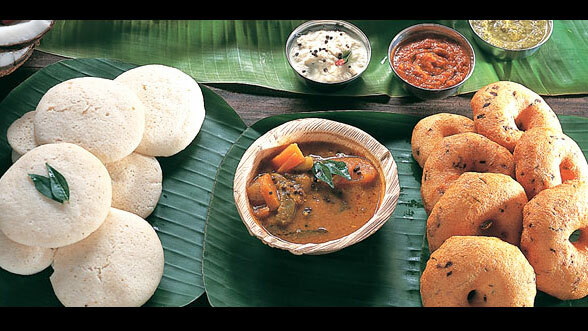 Many of them went on to remark that they never had eaten such soft and tasty Idli-Vada in their life. Before bidding goodbye, the news producer of Doordarshan was really appreciative of the Idli-Vada and said that I must watch the 9 PM newscast as this event would be part of the headlines. The print media reporters said that the photographs and the news report would find a place on the front pages. I did not take them that seriously and saw them off. Now I summoned the Commando Team to appreciate them for their special efforts. I was curious to know as to how they fermented the batter. Naik Venson was responsible for this task and he took the Team to the Regiment location in the Gun Tower – the Kraz vehicle. Kraz being of Russian origin has driver-cabin heating system. When they returned with the batter to the gun area, the Kraz’s cabin was already at about 25 degrees Celsius. Naik Venson kept the Kraz in static run mode till next morning. This ensured that the cabin temperature remained at optimum level for the batter to ferment. What an idea Sir-ji. After the firing exercise, I returned to the Officers’ Mess by evening. I asked for a drink and sat in the TV room. In those days we had only the Doordarshan channel and the news headlines said “75 Medium Regiment conducted their field firing exercise today” and the visuals of the firing practice were shown. Next morning all the leading dailies published from Delhi carried the same news item with a photograph in their front page. The photographs and news reports were placed in the Regimental History Book. So, the Idli-Vada did play a vital role in impressing the media persons. The story is a testimony to the versatile ingenuity of the soldiers of the Indian Army. Sirjee, Ab to Ek novel likh hi dalo. Booker prize ya kuch to mil hi jayega. Superb narration of incident. Excellent write up.. great that you remember the incident in such graphic detail! 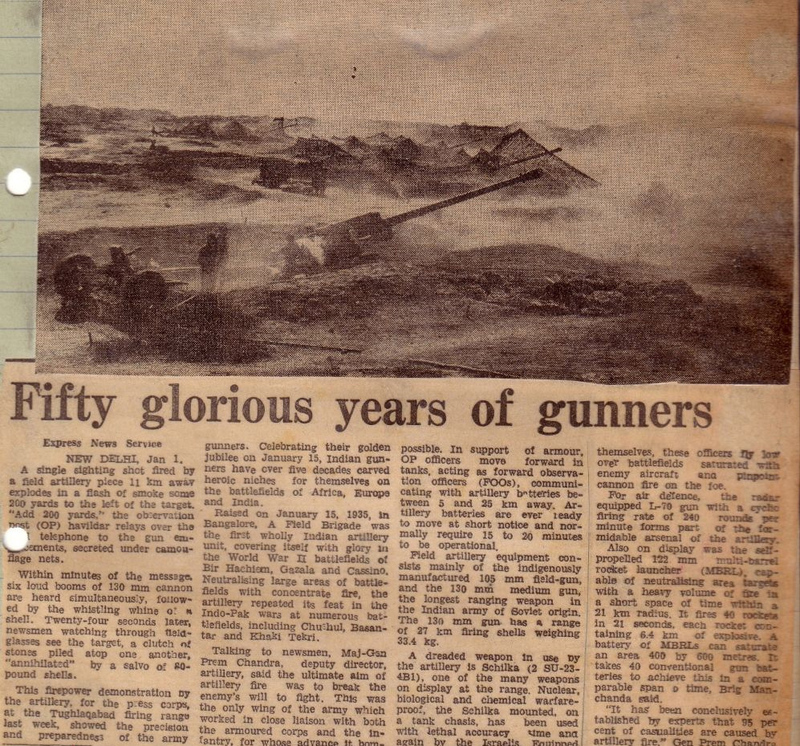 May be you can send this article to Arty Journal.. many lessons can be learnt from this narration of the “good old days” of Gunners. How about writing about your famous showdown with the SP of Delhi Police?! Guns and Idli Vada ! What a combo Sirji ! Hi Reji, Once again very well illustrated. Your article took me back so many years to our great Regt. Keep writing and like some one suggested compile them in to a book. Some one also suggested to write down the SP episode. I strongly advice not to do so. As a matured / experienced man, I am sure you will understand. Keep writing bro. But the photo of the iddlis & wadas are real mouth watering. Jai ho. Sirjee. Very well written. Anything is possible under ur able command. Prize banta hai. ‘ Salute’ to u n ur cammando team…..
. Innovative approach to problem solving.
. Trust in Junior Leaders.
. Leadership in challenging situation.
. Proactive & supportive Organization Climate to elicit best from every member of team. 2. Col Reji, Thanks for sharing such meaningful anecdotes, which shall make good case studies for Management Students. 3. Grateful for keeping me in your distribution list. I remember when I was teaching at SSA in 1969, at one of my first breakfasts in the mess I was presented with a plate of idlis and chutney. I could not face such spicy food so early in the day and asked for something different. I was brought an omelette – with green chilliest! I did get to like the food – particularly the masala dosai served at the cafeteria near the bus stand run by Swami. Lovely. Trust people come up with such ingenious solutions. Regi, a very well written article. The men in the Indian Army, especially in the arms, are ingenuity personified. They make you feel invincible. It is surreal when you give them a supposedly intractable problem and they just do it, without breaking a step. It is very difficult thereafter to adjust to life outside the unit. You have captured the essence very well. Interesting. Well documented and narrated. Reji Sir, excellent article narrated so nicely, I became so nostalgic about the range, where I was the first OP to fire the Bofors FH77B. You have taken me down the memory lane to Tughlakabad Field Firing Ranges. I did two AD firing exercises there with my Thambis – 47 Air Defence Regiment. The Thambis are wonderful soldiers. I had a long innings with 47 and commanded 28, another great Thambi unit. You have narrated everything so well that I feel part of the narrative and back at Tughlakabad FFR. Great reading your article Reji. Congrats on another very well written article. What I marvel at the most is that you remember the names of all your men of that time (did you write them down or what? 🤔). I can’t even recall my girlfriends name of that same time. 🤣 😂. Cheers and keep writing such wonderful stories.